Once in a lifetime opportunity. Sounds like a sales pitch, but it’s true. The Columbia River Treaty – an agreement between the United States and Canada on how to manage the heavily dammed Columbia River — is up for re-negotiation. As that re-negotiation gets closer, a window is opening on a whole new way of thinking about the Columbia watershed. It offers the chance to re-think how floods are managed, how power is generated, and who benefits. And most importantly, it offers the chance to reimagine the Columbia River as a whole ecosystem. Can we operate dams in both the U.S. and British Columbia to optimize salmon restoration? 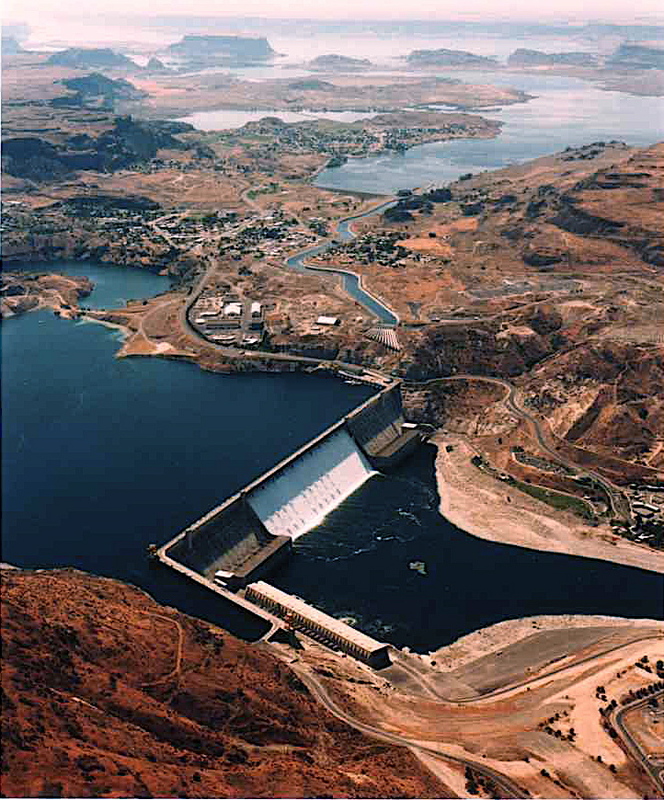 Should we install fish passage at Grand Coulee Dam (and Chief Joseph dam just downstream) to allow the fish to return to the upper Columbia River – in Canada and the U.S.? (Salmon swam all the way to the headwaters — 1200 miles to the Columbia River Wetlands — until the gates closed at Grand Coulee in 1942.) Can floods be managed in a more eco-friendly manner? Should conservation and renewable power be part of the calculation of power benefits in the region? The answer to these questions is yes. It is time to bring back the fish, restore the river, honor the treaties with tribes, and thoroughly modernize our approach to managing Nch’i-Wana, the Big River, the Columbia. That may mean taking a step back in time to allow the river to be a river – rather than trying to engineer our way out of every problem. The Columbia River Treaty as a document is not hugely complicated. But the history of the River and how it’s currently managed is quite complex. As ever, lots of different people and PUDs and cities and irrigation districts want a piece of it. As the two countries engage in pre-negotiation treaty review, interest groups are emerging. Pre-positioning is underway – most notably in the U.S. water supply sector. This blog will endeavor to provide a public interest perspective on Columbia River Treaty happenings across the watershed, in both the U.S. and Canada. Here you’ll find links to key websites and documents that illuminate what’s going on, along with analysis of what it all means. Future posts will address the players, the science, the history, the politics, the art and the poetry of the Columbia River. Stay tuned. Your comments and information are welcome.